Looking for free screen recorders? Like anyone who’s looking to make money online, you’ve probably heard that screen recorders are a must-have for many ventures. On Money Pantry, we offer literally 100s of ways for you to make money online – regardless of your experience, education, or background. And, many of these money-making methods require you to record your screen. In this post we’re going to share the best places to download free software for screen recording. 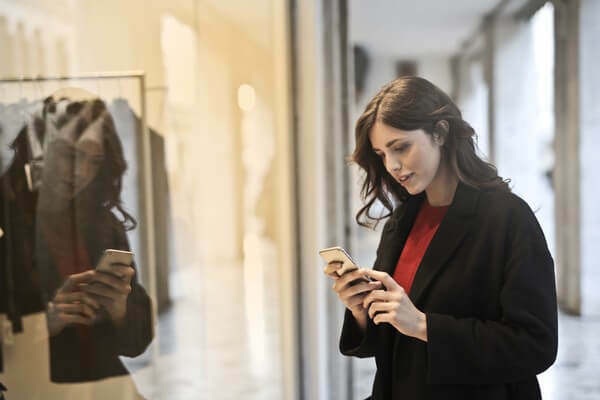 But first, for those who may not know, let’s find out why you may need a screen recorder depending on the kind of money making option you want to pursue. Making Money Online: When Do You Need Screen Recorders? A surprising amount of online money-making ventures require some sort of screen recording software. Whether it’s recording yourself playing a popular game, or making walkthroughs that help people to complete quests/missions in games, gaming videos are incredibly popular. One of the best ways to make money on YouTube seems to be video game streaming. In fact, one of the most subscribed to channels on YouTube, PewDiePie, is a gaming channel! If you want to start making gaming videos for money, then you’ll need software to capture them! Do you want to make money telling people how to use the newest version of Windows? Or do you want to give people useful tips on how to set up a home network on their computer? Or perhaps you want to give people a walkthrough on how to set up their website hosting account with Bluehost? Well, if you want to make money through instructional tech content, then you’ll likely need to record stuff on your PC. Maybe you’ve had success selling on Amazon or FBA? Or maybe you make an income selling stuff through websites, like eBay, Etsy and Poshmark? If so, then you may want to make money teaching others how to sell stuff online. And again, you’ll need screen recording software. As you can see, there are plenty of online money-making ventures that require you to use screen recorders. Unfortunately, they can cost a lot. And if you’re looking to make money online, you might not want to part with much cash. Plus, if you don’t have much money to invest in the early stages of your business, then you might not want to pay for a screen recorder. Can You Really Get Screen Recorders for Free? The answer to that question is yes, there are lots of screen recorders that you can install for free. A lot of companies offer software that is always free, but it’s a basic version of their paid software, so it provides you with fewer features. Some screen recorders, however, are always free, and there is no paid version – the free version is the only version of the software and you get access to all of its features. Other companies provide free trial software, so you’re only got to get the recorder for free for a limited timeframe. So, there are lots of ways that companies provide free screen recording software. Below, we cover companies that offer solely free programs, free trials, and free versions of the software. 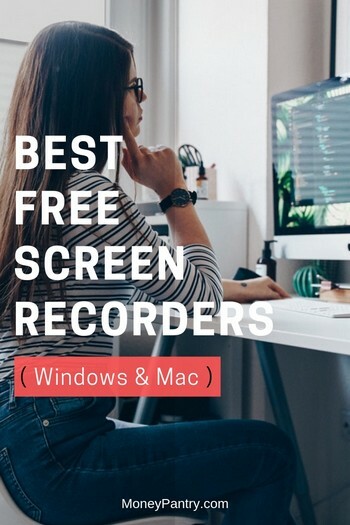 Okay, so now you know why screen recorders are important in many money-making ventures and how companies offer them, let’s take a look at the free screen recorders that are available for Windows PCs and, in some cases, Macs and Linux PCs. A quick note to keep in mind with free screen recorders is that some of them don’t allow you to record stuff for commercial use. So if you’re looking to sell the video as a course, for example, then it would be against the program’s terms and conditions. Before you use the software, make sure that you read all of the terms and conditions – this will let you know what types of videos, i.e. commercial or personal, that you can make using that software. We’ve tried to primarily include software that you can use for commercial purposes. But, since companies often change their terms of service, it’s a good idea to check before making videos for commercial use. If you want to get into making gaming videos, then OBS (Open Broadcaster Software) Studio will be particularly handy. It’s a free and open source screen recorder that you can use for video recording and live streaming. This is what makes it particularly useful for making gaming videos. The software can be used on Windows, Mac, or Linux PCs. It’s always free, with no watermarks: While many software providers only provide free trials of their programs or limited versions of their paid software, OBS Studio is always free. And, it doesn’t even add watermarks to your videos, which is always great. Record High Quality Videos: This software offers high performance, real-time video/audio capturing and mixing – so even though the software is free, it still provides you with high quality recordings. Create scenes made up of multiple mediums/Create multi-faceted videos: With OBS Studios, you can create scenes that are made up of multiple sources, including window captures, text, browser windows, capture cards, images, webcams and more. This means you’re able to create multi-faceted videos. Set up an unlimited number of scenes: With OBS Studio, you can set up an unlimited number of scenes. And, you can seamlessly switch between scenes via custom transitions. Broadcast right to platforms: OBS Studio isn’t just an excellent tool for recording, particularly for gameplay, but it’s also great for broadcasting your game streams and other videos to platforms, like YouTube and Twitch. In fact, it supports most of the major streaming platforms. Offers customizable hotkeys: This software allows you to set up hotkeys for pretty much every sort of action – such as, starting/stopping streams or recordings, and switching between scenes. Get access to a wide range of configuration options: The setting panel gives you access to a variety of configuration options – so you can adjust every aspect of your broadcast or recording. For more advanced users, looking for something more customizable, this is ideal. Offers a wide range of features, despite being free: Some free screen recorders offer pretty limited features. This is fine if you’re looking for something simple. But if you want a program with lots of features, then OBS Studio is a great choice. It can be tricky to set-up: Unlike some of the other entries on our list, like Camtasia, which you can read about below, OBS Studios takes a little while to set up, and it can be tricky. It’s definitely not an out-of-the-box solution, requiring configuration to get it to work as you want. Overall, OBS Studios is a powerful screen recorder that anyone who wants to make gaming videos should use. But, as we said above, setting it up is not as easy as just installing the software. So it might not be an ideal program for novices. We’d recommend it for more advanced users. There are, however, plenty of tutorials online that can help you to get started. Plus, OBS Studio provides a wizard that can help you to get set up as well. If you don’t mind putting in a little time, research, and effort into installing it, OBS Studios is a fantastic piece of software that’s totally free. If you want a free online screen recorder requiring no download, then take a look at Apowersoft Free Online Recorder. It offers a free version and a paid version of its software. Unlike the other programs on this list, which are installed right onto your PC, the Apowersoft Free Online Screen Recorder is a browser add-on. So it doesn’t require installation on your PC. This means that if you’re lacking space on your computer, then this browser extension is ideal. While it doesn’t install a full program, it does install a small launcher application on your PC. No watermarks: Make videos without those pesky watermarks ruining them! Choose how much of the screen you want to record: Handily enough, this program allows you to not only record the whole screen, but it also allows you to select a customized region that you want to record. Record your web camera as well: You can add your webcam into screen recording, which is handy for creating instructional videos. Capture video and audio simultaneously: You can record your screen and pair it with audio from your computer or your microphone. Doesn’t take up space on your PC: If you’re looking to save space on your computer, then Apowersoft Free Online Screen Recorder is ideal because it’s a browser extension that doesn’t require installation on your PC. Add annotations while recording: You can add shapes, colors, notes, and different icons, such as arrows, to your videos while you’re recording. Also, you can annotate it with lines, text, callouts, highlights and more. This is handy because you don’t have to wait until you finish recording to polish your video. You can then publish it immediately to a website. Only a browser extension: While this is beneficial in terms of space, as we mentioned above, it means that it can only be used online. If you’re looking to record stuff offline, then you won’t be able to. You’ll need to be online to use the extension. Not ideal for gaming: If you’re looking for software for gameplay recording, then try another piece of software, as this one isn’t as suitable as the other programs on the list. Overall, Apowersoft Free Online Recorder offers a lot of benefits. We’d recommend it if you’re looking for something that’s simple to use, and if you don’t require a big program. If you’re okay with just a browser add-on, then this is the screen recorder for you. ShareX is a simple to use program that allows you to record your screen, with lots of different options for doing so. It’s open-source and free to use, much like OBS Studio. Offers multiple capture methods: One of the things that makes ShareX such a good screen recorder is that it offers so many different capture methods. You can choose to capture all or part of your screen. Also, you can capture active windows, webpages, custom regions, and more. Provides a variety of annotation tools: There are lots of tools you can use to annotate your recordings, such as lines, text, image, highlights, and cropping. There’s even freehand annotation available. Save and share files easily: Aside from being able to save captures as video files, you can also save them as GIFs. This is super handy if you’re looking to share content on forums and social media. Not only do you get multiple options for saving files, but you also get lots of options when it comes to sharing them. With the program, you can send videos right to file-sharing and social media sites, such as DropBox and Twitter. No watermarks: So useful if you want to make your videos appear professional. Not suitable for recording gameplay: Since ShareX doesn’t support capturing screenshots or recordings from games that are running in full-screen mode, it’s not ideal if you’re looking to make gaming videos. You can capture game recordings by running the game in borderless or windowed modes, or use other software and then upload through ShareX. Totally free to use and offering a variety of different tools, ShareX is a good choice for anyone looking for a quality screen recorder. If it’s recording games though that you’re interested in, then ShareX isn’t your best option. Go with something like OBS Studio instead, which does support game recording. This is another free screen recorder that offers an impressive array of features. No watermarks: Watermarks can be pretty annoying, so you’ll be glad to know that FlashBack Express does not include them! Upload or download your videos: With this software, you can upload your videos right to YouTube, or you can download the video file. This is convenient, as you can then use the video how you want to. Offers HD Recording: Like OBS Studios, FlashBack Express provides you with high quality recordings – even though it’s free! Record screen and sounds: This porgram allows you to record screen and audio, which is super handy. You can even add commentary to your videos. You can’t edit with it: FlashBack Express is the free version of the software. While the paid version of the program, FlashBack Pro, gives you video editing tools, the free version does not. This isn’t ideal. You can’t use effects or add extras to the video: Again, while the paid version of the software allows you to use video effects, and add text, images and sounds, the free version doesn’t. So, you won’t be able to make many additions to your videos. Overall, this is a good, feature-rich piece of software. But, FlashBack Express is more limited than Flashback Pro. Since there is a free and a paid version of the FlashBack program, make sure you select the right one on the website. To get the free version, scroll down the page that we linked to above, and select FlashBack Express, which is the free version, rather than FlashBack Pro, which is the paid version. If you’re looking for a screen recorder specifically for recording games, then you’ll definitely want to check out FBX Game Recorder. It’s made by Blueberry Software, who also provides FlashBack Express, which we mentioned above. Offers lag-free game capture: Lagging is one of the most common problems that people have when trying to record gameplay. Handily enough, FBX Game Recorder records in the background, without lagging your game. So what you get is a smooth recording – that’s also HD! It’s designed to handle all major game titles. Plus, it even works on older, low spec PCs. Provides multiple recording options: You can hit a hotkey while playing and instantly save short videos of the best action from the game. You can also drop bookmarks as you play to quickly find the best moments in your game. You can also take screenshots. Easily edit content: You can easily review gameplay footage, find the best parts, and save them as short video clips and GIFs. Share content easily too: You can share content on social media from FBX Game Recorder. Customize your game content: You can add stickers and gifs, and captions to your content. You can also use slow-motion, speed up footage, and freeze-frame on moments in your video. There’s a time limit on recordings: The free version has a 15 minute recording time limit. So if you’re looking to make a long gaming video, then FBX Game Recorder isn’t ideal. There’s a watermark on videos: FBX Game Recorder puts a watermark on your recordings. If you want to remove the watermark, then you’ll need to upgrade to the paid version. Overall, for gaming videos, FBX Game Recorder is an awesome piece of software. But, the fact that it limits your recordings to 15 minutes will be the limiting for many. If you only need to make videos that are less than 15 minutes, then FBX Game Recorder is a great choice. Free Cam is an excellent free screen recorder from iSpring, which offers eLearning solutions and tools. No watermarks: Often, free software features watermarks. If you’re looking for a free screen recorder with no watermark, then check out Free Cam. It won’t put watermarks on your screen captures. No time limit: Another thing common with free software is a time limit. A lot of them will only allow you to record for a certain timeframe, such as 10 minutes, or fifteen minutes for example. But, Free Cam has no time limit. Capture what you want: You can choose to record your entire screen if you want to. Or, you can just record a selected area of the screen or a single window. Record voiceovers: If you want to, you can use your microphone to record a voice over for your videos. This is handy, especially if you’re making tutorials or video lessons. Record system sounds: You can also record the sounds of your programs and applications. Or you can add background music to your videos. Edit your videos easily: Free Cam offers built-in audio and video editor that you can use to fine-tune your videos. You can easily cut out parts of the video you don’t need, remove background noise from your voice over, and polish your audio by adjusting the volume, adding fade-in or fade-out effects, or muting the sound in selected parts of the video. Share content easily: You can save your screen recording to your desktop, and then share it how you want to, such as via email or in a social media post. And you can instantly share it on YouTube. In fact, if you enter your YouTube account in Free Cam, then you can share your videos with a single click, which is pretty convenient! Limited file saving options: While many other screen recording programs give you multiple file options for saving your content, Free Cam only allows you to save recordings as WMV files. This can be limiting. You can’t record from your webcam: Free Cam does not offer webcam recording. So if you need to record yourself on your webcam, then this program isn’t ideal. Overall, Free Cam is an awesome free screen recorder. The fact that it doesn’t watermark content or put time limits on your recordings is excellent for a free tool and really makes it one of the best out there. The only things that let it down are the fact that you can only save files in one format, and you can’t record from your webcam – so gamers, in particular, may find that a little restrictive. It is a great program though, with a range of features, and few cons really! Super easy to use and offering a good range of features, Screencast-O-Matic is definitely one to check out. We’d recommend this one for those who are just starting out and want something simple. It’s easy to use: If you’re a beginner, without much in the way of tech skills, then you’ll get by just fine with Screencast-O-Matic. Its interface is easy to use and navigate, so you can get started with the program quickly. Lots of recording options available. You can record the screen and from the webcam as well. And, you can choose to record the full screen or just a window. You can also add captions and trim recordings. Upload and share right from the program: You can publish to Screencast-O-Matic and YouTube, as well as to Drive, Dropbox, and Vimeo. Also, you can easily share your videos on platforms like Twitter, Classroom, and Facebook. It puts watermarks on recordings: Some people find watermarks annoying, and others don’t. If you are one of those people who are bothered by watermarks, then you’ll want to give Screencast-O-Matic a miss! You can only record for a limited time: You can’t make recordings that are more than 15 minutes long, which, depending on what types of videos you plan to make, can be limiting. If you need to make longer videos, then Screencast-O-Matic isn’t ideal. Overall, if you want something simple, then Screencast-O-Matic is a good choice. But, the free version of the program does have quite a lot of limitations, such as watermarks and limited recording time. So, it’s not the best free screen recorder out there. It is, however, a good starting point, since it is so easy to use. Bandicam is another program that offers a free version and a paid version. The paid version has more benefits, which we’ll discuss below, but the free version is still a great choice. Capture any area of your screen: You can record any area of your screen, which is always ideal. And, you can save screen captures as either a screenshot or a video file. Record from your webcam: If you’re making a gaming video where you want people to see you playing a game or any other type of video where you want your audience to be able to see you speaking to them, then this is so handy. You can easily record the video from your webcam. Record multiple types of content: With Bandicam, you can record games, Skype calls, lectures, and webinars, making this a versatile program. Add audio from your microphone: You have the option to add narration from your microphone to your recordings. Easily share your content: You can share your recordings on YouTube and Facebook. Make additions while you record: While recording, you can add a mouse click effect and animation. You can draw and outline on your video or screenshot, in real time, which is super handy if you’re looking to make videos quickly. Watermarks are put onto your content: Those pesky watermarks are, unfortunately, common in free versions of paid software, and Bandicam is no different. While its paid version doesn’t put watermarks on your videos and screenshots, the free version does. Limited recording time: A lot of free versions of paid software also limit the time that you can actually spend recording. Bandicam limits you to a ten minute recording time. That’s pretty short. If you are making short-form content, then this won’t be an issue for you, but if you’re looking to make longer videos, then skip this one. Overall, Bandicam offers a nice selection of features. If you’re just looking to make quick videos, then it’s a great choice. However, the fact that it puts that 10 minute time limit on recordings means that it won’t be ideal for everyone. Also, the addition of a watermark on recordings will bother many people – if you’re one of them, then choose another program. If you don’t need to make long videos though and you aren’t bothered by watermarks, then Bandicam is a good option. This is another good free screen recorder for Windows 10. It also supports Mac OS X. With Icecream Screen Recorder, you can capture your screen to create screenshots or video files. This is another company that offers both a free and a paid version of its software. Capture any area of your screen: You can capture your screen with audio. And, you are able to record a wide range of content, like games, webinars and Skype videos. Get high quality video: You can capture HD videos, which is great for free software. Make additions to your screen captures: You can draw, outline, and add arrows or text to your screenshot or video while recording. This is super handy. Offers a project history: This is a handy tool that gives you quick access to all of your captured videos and screenshots. Gives you the ability to record from your webcam: Along with your screen recording, you can also record webcam video. Add numbers to tutorials: You can add numbers to your recording to illustrate the steps of your tutorial – so if you make educational videos, this tool can be particularly useful. Watermarks are added to screen captures: If you don’t want watermarks on your recordings, then give Icecream Screen Recorder a miss. Recording times are limited: This is another program that limits the amount of time that you can record for. If you want to remove recording time limits, then you’ll need to upgrade to the paid version of the program. Overall, Icecream Screen Recorder is a great tool for recording your screen. But, since it offers a paid version and a free version, there are limits on the free program – the main ones being a limited recording time and watermarks. If you don’t need to make long videos though and watermarks don’t bother you, then Icecream Screen Recorder is a good choice. Cost: Free for 30 days – $249 for a License after the free trial period. If you’re looking for a very high quality screen recorder, then Camtasia is a great choice. Developed by TechSmith, Camtasia allows you to create professional-looking videos on Windows and Mac PCs, and it is considered by many to be the industry standard. Record anything: Whether it’s websites, video calls, software, or PowerPoint Presentations, you can record anything on your computer screen with Camtasia. Ability to Record Different Parts of the Screen: Camtasia allows you to record your entire screen, or choose to focus on a specific region, application or window – this gives you a great deal of flexibility. Record your face: If you’d like to record your face too, as many people who make gaming videos choose to do, then Camtasia can use your computer’s webcam to do so. Add Annotations and Effects: Camtasia allows you to add premade animations that you can customize. You can easily drag and drop effects onto your videos. Plus, you can add titles, annotations and callouts to your videos as well. Record audio too: With this software, you can also record audio using your computer’s microphone. Make your videos interactive: You can add quizzes to make your videos more interactive. This is handy if you are creating online courses. Easy to use: While Camtasia does offer an impressive collection of tools, it’s surprisingly easy to use. Anyone who is moderately proficient with computers will be able to use the program’s functions with few hurdles. It will take some time to explore all of the features Camtasia has to offer, but it doesn’t take long to learn to use the program to record. There’s only a free trial available: Camtasia offers a free 30-day trial. After that though, you’ll need to pay for the program – and at $249 for a single user license, it’s not cheap! Overall, Camtasia is a great piece of software, which has been around since 2002! So it’s extremely well-established. But the reason that it appears lower down on our list is simply because it’s not free after the initial 30-day trial. If you do start to make an income from your money-making venture, then you might want to consider investing in it, but at the start, it’s likely out of yours and most people’s budget. Like we said above, here on MoneyPantry, we offer hundreds of ways to make extra money online and offline. And, many of them do require you to use screen recording software. 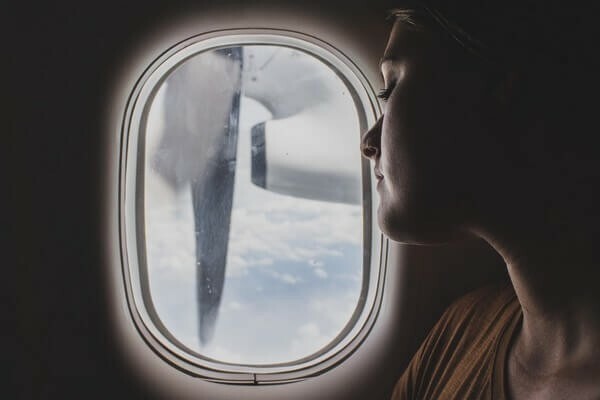 While blogs and other written content are also vital parts of making money online, videos are just as important – with many people enjoying that medium for digesting content. It’s good to know that if you do need to capture a recording on your screen, there’s plenty of free screen recording software out there to do it. Whether you want to promote a new app you’ve developed with a fun demo video, or would like to teach people how to use the newest version of Adobe Photoshop, install some free recording software. Let us know about your experiences with free screen recorders, and which ones you’ve found to work the best for you, in the comments section below. 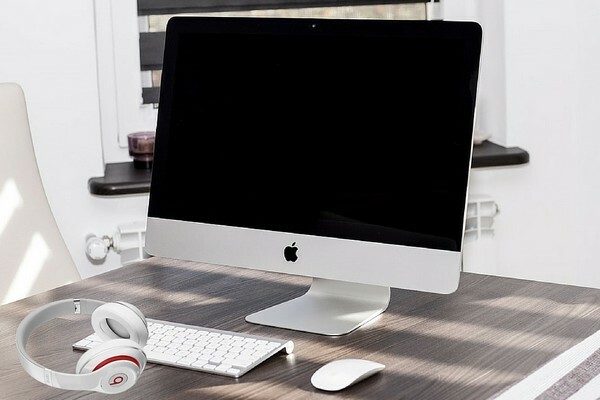 Apple Wants to Hire You As a Chat Advisor to Work from Home!